I am so pleased with the product. I highly recommend! My husband bought this product two months ago and I have to say, it is a miracle product. My 7 year old now can happily go to sleepovers and not have to worry and there’s no more tears over embarrassment. The alarm system worked great, no issues or problems with it–it is very loud but that’s a good thing LOL! I am finally done buying diapers and my daughter could not be happier that she can join her friends. It took about 6 weeks till she had multiple dry nights in a row and two weeks since she’s been going strong with no wet nights yet and hopefully no more again! This is one of the more comfortable things we have tried and I am so pleased with the product. I highly recommend! My son is autistic and battles bed wetting. He’s 12 and its so bad he sleeps on a air mattress so I can house it down but with this product he can sleep in a regular bed. I live that it slams him when he had just started so he can quickly get up an go to the bathroom. Great invention for the young and old alike. Wonderful product. 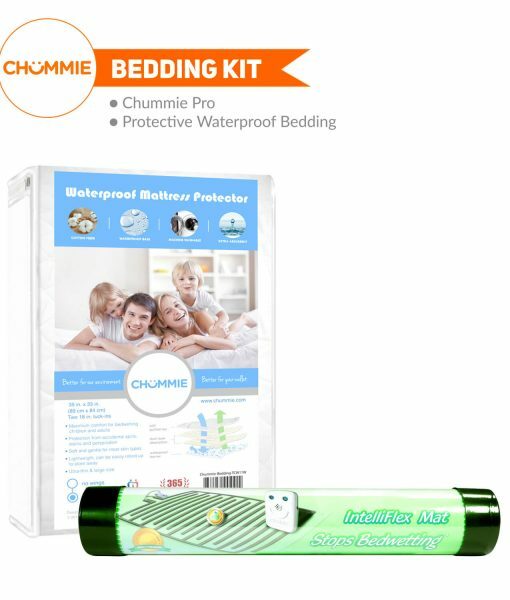 Chummie bedwetting alarm has helped my son overcome bedwetting after only 4 weeks of using the product. Thanks for the intervention!!! I was given this to help me with my moms bed wetting. She is about 83 and unfortunately can no longer control her bladder and has turned to depends to help her during the night. Every morning she wakes up with a VERY wet diaper which has created a terribly bad rash. 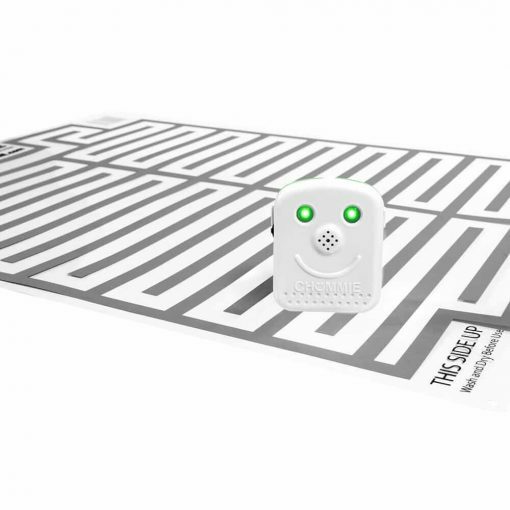 I started her with the bed-wetting alarm pad and it was really easy to use. She started on it 3 months ago and thankfully the rash has disappeared now. It wakes me up when she wets the bed so I can clean her immediately so no irritation occurs. Although she will always wet the bed this really helps her be more comfortable with no irritation or rash on her upper legs. This really worked for her. 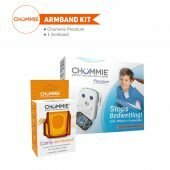 Any child or adult who deals with an incontinence issue can reduce a lot of the shame and humiliation by having a Chummie. If used consistently, it can actually retrain a child to get up in the middle of the night and relieve herself at the first drop of wetness. If the adult is bedridden, the alarm alerts caretakers that attention is needed. Besides helping reduce the number of bed-wetting incidents, it’s economical, in that it saves money on incontinence products (child or adult diapers, pads, etc). It’s small, discreet, and comes with a pad; plus choice of color, blue or pink. It would be great for babysitters who care for little ones who are potty training, and great for adults caring for a senior parent. Chummie is of great help to our son who almost got depressed for not waking in the middle of the night and wetting the bed daily even though he is 11 years. 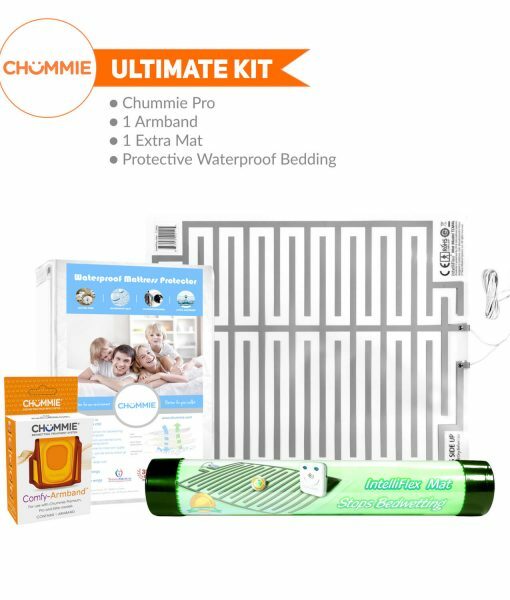 But this product is really worth the price and has made happy as my son has just started going to the bathroom before the alarm beeps within a month. Now I am very much relieved as I need not spend money on diapers and my bed sheets are really clean. 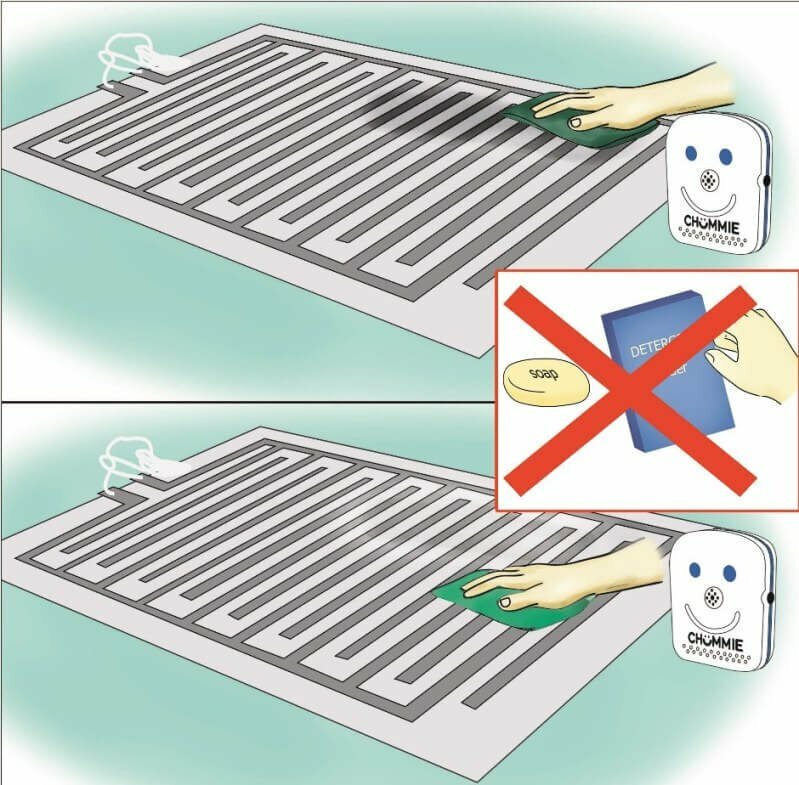 Cleaning this mat is very easy and the best part is I have just cleaned it for a month and after that my son is able to get up whenever his bladder is full. All we need to use is just some disinfectant and cotton cloth to clean the mat. But cleaning every day is very essential if this mat gets wet. I am lucky to know about this product as my son is really feeling proud for not wetting is anymore; even we are very much relieved of the financial burden and mental tension. Now the whole family is having sound sleep without getting irritated in the morning without any bed wetting issues. I wish I’d learned about this system a few years earlier when my son started having problems with bed wetting. It has helped all of us cope with this problem with less accidents and has made him more confident and able to sleep better. What was beginning to happen is a fear of going to sleep and waking up soaked. He hated that and now his mind is at ease and has less accidents. The choice of adjustments in alarms/volume is a feature we appreciated initially to determine which type of alarm was going to work best. I didn’t knew a product like this existed. My son has bed wetting problems, so I took him to doctors and psychologists and they recommended therapies and medications that didn’t. Fortunately this works, the frequency of bed wetting has decreased. Over time I hope that it helps my soon overcome his bed wetting problems. This product is perfect. 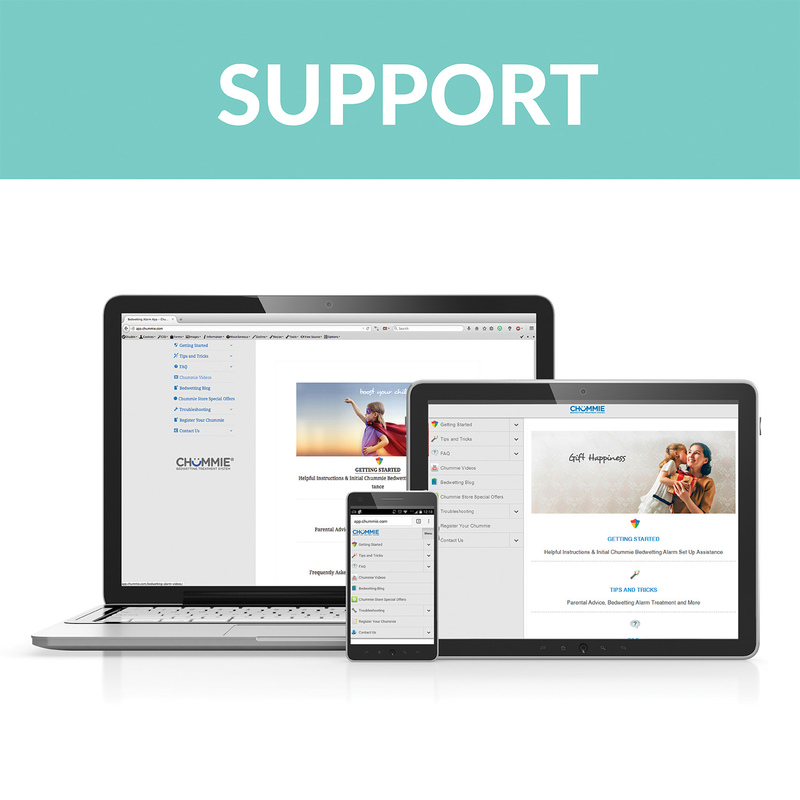 We used it for my husbands mother who is incontinent after suffering a stroke. 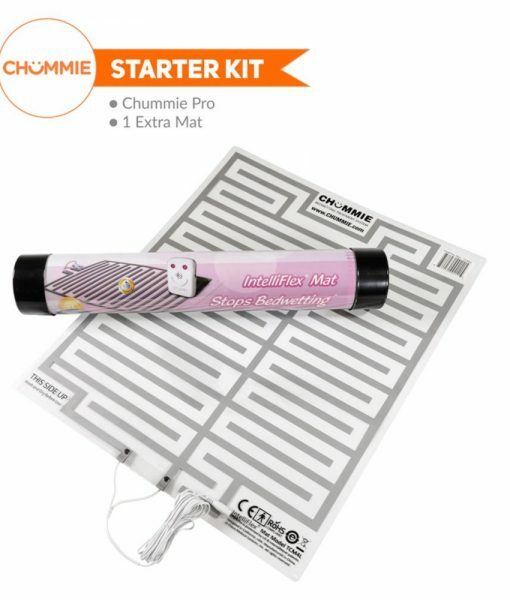 We already had a chummie alarm which our daughter had used. We replaced it with this mat. It wakes us when the diaper is soaking and needs to be replaced. It does what its supposed to do.